This book counts towards the A to Z Reading Challenge and Beat The Backlist. A fast-paced thriller from the author of the international bestselling Shepherd series. The gruesome killing of more than 300 white squatters in a South African village is still unsolved when the alleged assassin enters a storage facility in the US and takes several hostages. No demands and an obvious play for time leave hostage negotiators on edge. When the FBI is called in, they bring Dr. August Burke, a young man with James Dean looks and a brilliant mind capable of seeing behavioral patterns where others can’t. Unfortunately, Burke hates being around people. Can he put his social anxieties aside and solve the mystery before it's too late? Together with FBI Special Agent Carter, Burke finds the door to a secret laboratory beneath the storage facility. Is this what the culprits are really after? Soon Burke realizes they are dealing with an enemy who is willing to kill thousands without batting an eye. 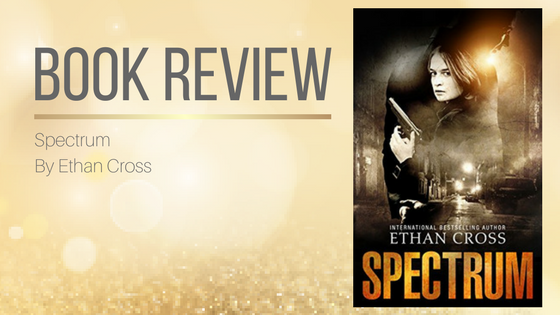 Between Isabel Price’s quest for bloody vengeance and August Burke’s uneasy gift, Spectrum weaves a web of intrigue and complex characters into an action-packed crime novel. Across the globe, Constable Isabel Price picks up her gun and starts the hunt for the killer behind the village massacre, even if that means losing everything. She has no intention on bringing him back alive. 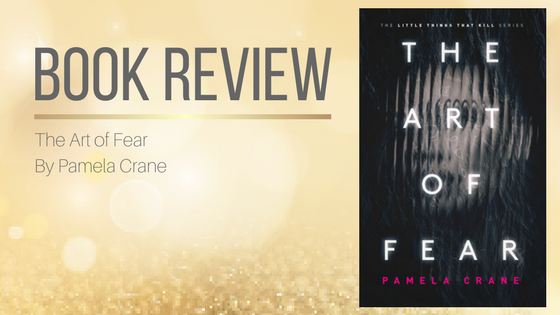 Her thirst for revenge leads her to the US, and her path intertwines with the hostage takers. I may be his biggest fan :) I'm always surprised at how little known he is. I LOVE his books. I haven't read any of Ethan Cross's books but have heard the name. Thanx for the thoughtful review. If you're a fan of the crime/suspense/thriller genres I highly recommend checking him out. Hi, I have never heard of Ethan Cross and I am surprised as it sounds like my kind of book. Your enthusiasm for this author and this book are great and your review makes me want to look into the book and author. Check out the Shepherd series. It's even better than this one. Wow this seems like an amazing thriller. I like that the villains seems unpredictable and seems to be working more for a personal vendetta as compared to just getting a ransom. There are lots of players in this story, and each has their own motives for doing what they do. It sounds like a great book. I want to add it to my TBR list. Let me know if you do read it. Would love to hear what you think of it. The author and the book are both new to me. I like crime drama. I've actually taken notes in the margins to see if I could figure out the ending. I discovered him a few years ago when he started the Shepherd series. The author sent me a copy to review and that was it...I was hooked. Great review, I never heard about this author or his books. But the book looks and sounds absolutely amazingly fantastic. Thank you for sharing and putting this book on my radar. Thank you, and you're most welcome. I'm a complete fangirl when it comes to Ethan Cross books. This is new to me :) I used to read these type of books all the time but moved away in favor of romance lol. Time to make a comeback I think :) Great review!